Thank you to La Canada Valley Beautiful and the La Canada community for a wonderful weekend! Our bi-annual drought tolerant maintenance workshop left the La Canada Public Library’s Gardens of the World demonstration gardens in tip-top shape and ready for rainy season. As it turns out, La Canada Valley Beautiful is inspiring beautification beyond La Canada’s borders! We were tickled to host a certain forward-thinking mayor looking to develop something similar in her community. 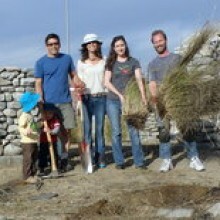 La Canada Valley Beautiful and FormLA Landscaping worked in partnership to create the Gardens of the World. 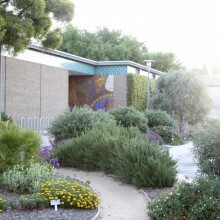 They aimed to beautify this high-profile community space, save water, demonstrate the aesthetic of LA climate friendly gradens, and serve as a resource for both property owners and professional landscapers. 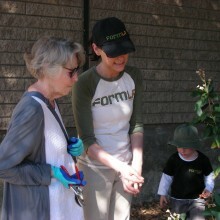 From 2008-2016, the Gardens were maintained, in part, through free community workshops hosted by FormLA Landscaping and La Canada Valley Beautiful. They are now maintained by La Canada Valley Beautiful.